or-bits.com is featured on eShelf, an A-Z of independent publishing online. 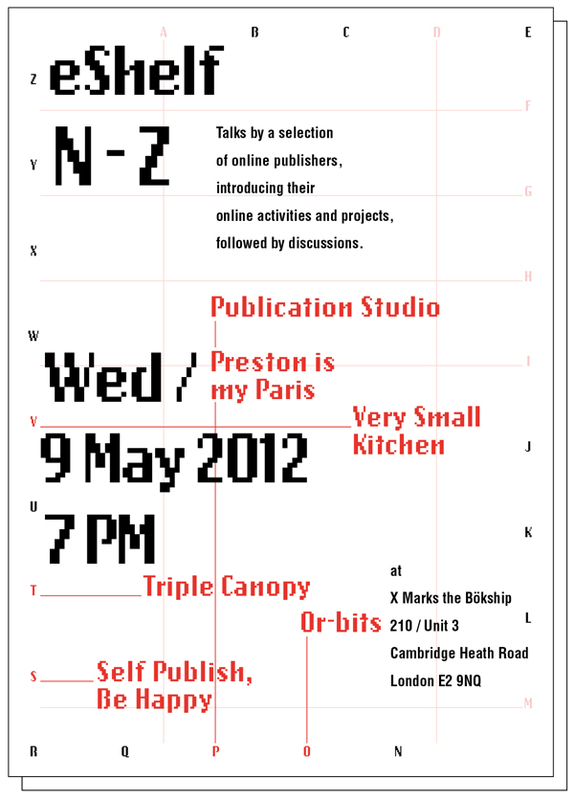 As part for this, we will take part in a round table discussion at: X Marks the Bökship in London on Wednesday 9th May, 7-9 pm, along with other projects featured on eShelf: Publication Studio / Preston is my Paris / Self Publish, Be Happy / Triple Canopy / Very Small Kitchen. This entry was posted on Tuesday, May 8th, 2012 at 8:00 am and is filed under NEWS. You can follow any responses to this entry through the RSS 2.0 feed. You can leave a response, or trackback from your own site.